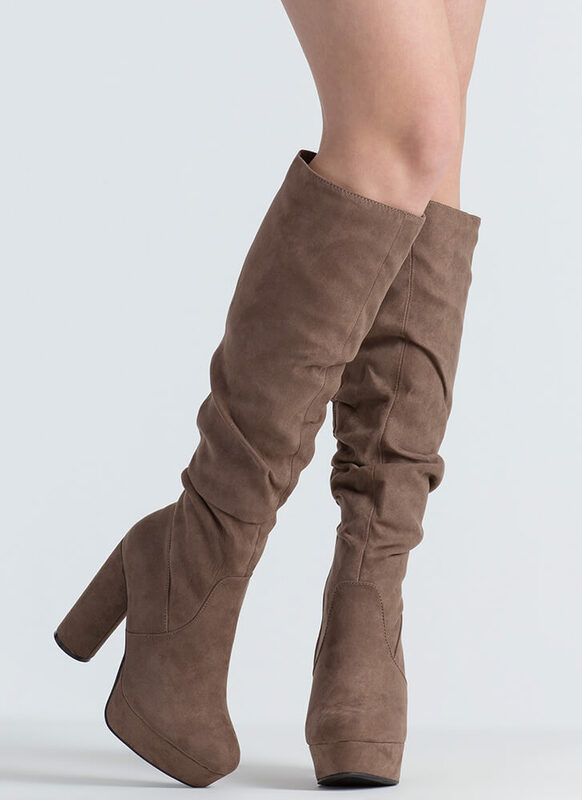 We're not sure what we like more, the cylindrical heel or the slouch factor? 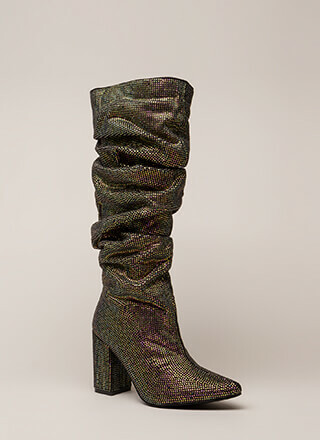 Either way, we have to have these boots. 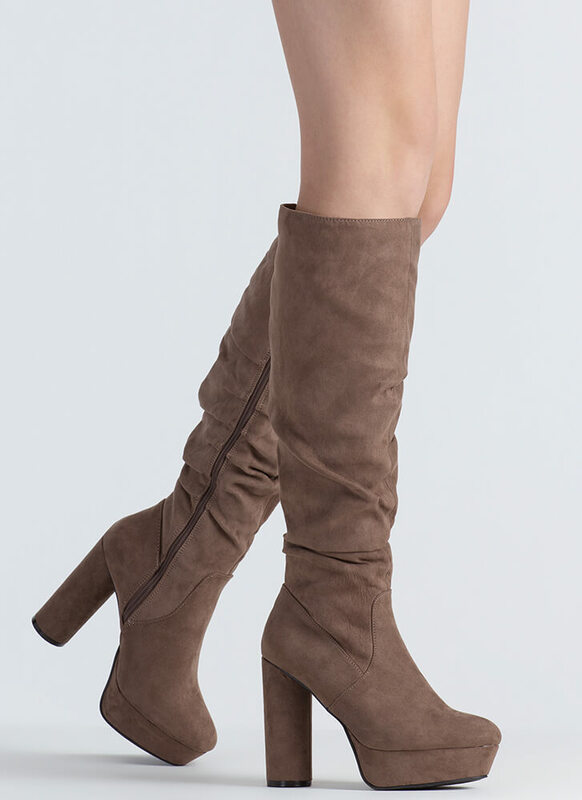 Vegan suede knee-high platform boots feature a rounded toe, a slouchy shaft, and a cylindrical chunky heel. Shoes are finished with a ridged sole and a full-length side zipper for easy on and off.